chairman of Zhuwao Institute Cde Patrick Zhuwao has urged Zanu-PF Secretary for Information and Publicity Cde Rugare Gumbo to name senior party officials he alleged on Monday to be working from within the ruling party to effect regime change. Zhuwao Institute is a Harare -based think tank focusing on economic research and development. In an interview yesterday, the former National Assembly representative for Zvimba East, who is also Zanu-PF Politburo member, said failure by Cde Gumbo to name the officials pushing the regime change agenda had raised speculation on the identity of the said individuals. In a statement on Monday, Cde Gumbo said Zanu-PF was aware of individuals pushing a regime change agenda from within under the guise of supporting President Mugabe. “I am inclined to agree with Cde Gumbo that there are some senior leaders who are pushing for regime change in Zanu-PF but falsely claiming to be supporting President Mugabe,” he said. 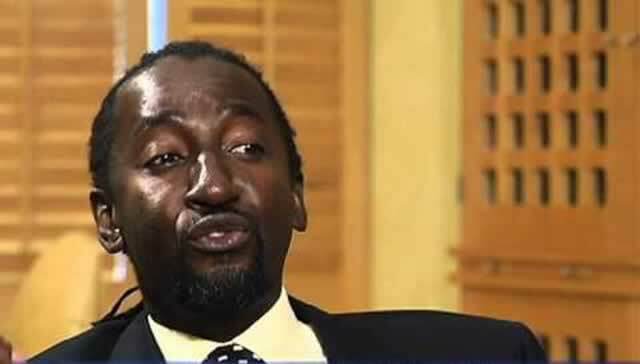 “Unfortunately, Cde Gumbo does not name those who are pushing the regime change within Zanu-PF but as Zimbabweans we apply our minds in analysing who the usual suspects for this regime change are. He added that the said officials could also be those who are perpetuating the myth of the presidium knowing well that the organ only exists during the National People’s Congress. “The second port of call is to analyse the statement and actions of those who purport to support President Mugabe. The most dangerous of which is the unfortunate reference to the Presidium. Article 4 of Zanu-PF’s Constitution lists 12 principal organs of the party. The presidium is only referred to in an Article which relates to the National People’s Congress in particular to Clause 22 which relates to the convening of Congress and in that clause the Presidium is mentioned only twice. “This section also makes a provision that, “following the dissolution of the Central Committee immediately preceding the election of a new Central Committee in terms of Article 32 of this constitution, the Presidium established under the section shall continue until the conclusion of the business of Congress,” Cde Zhuwao said. He said it was therefore probable that the officials referred to by Cde Gumbo where the ones currently campaigning for the retention of the Presidium at the forthcoming National People’s Congress instead of rallying behind President Mugabe. “In effect the Presidium only subsists for the duration of Congress to serve two purposes, namely to preside over proceedings of Congress as directed by the President and First Secretary and secondly as a transitional mechanism necessary to obviate a vacuum of power during the short period in between the dissolution of the previous Central Committee and the election of a new one. “It is therefore mischievous to perpetuate the myth of a Presidium beyond the duration of Congress. One wonders whether those that continuously refer to the non-existent organ of the Presidium are the ones that Cde Gumbo has fingered as senior party officials pushing for a regime change agenda,” he said. Cde Zhuwao said it was also worrying that following a meeting between the National Chairman Cde Simon Khaya Moyo and provincial chairpersons there was no mention of the Zim-Asset economic blueprint. He said it was left to Harare province Youth League chairman Cde Godwin Gomwe to organise youths to welcome President Mugabe on his return from China and congratulate him for signing deals that will see major infrastructural development projects being implemented. “I also agree that all party members should exert their energies on implementing Zim-Asset and that the exertion needs to come from the very top of the party. I am glad to say that you will see President Mugabe leading from the front in terms of the successful trip to China,” he said. “I get very worried that the press statement released by the National Chairman (Cde Simon Khaya Moyo) after meeting the provincial chairpersons did not speak at all to Zim-Asset and implementing Zim-Asset. “Four of the seven points in that Press statement focused on gagging members of the party from speaking out against injustices being perpetrated in the party. “I would have expected the National Chairman and the provincial chairmen to have come out with a statement congratulating the President even if he had not yet arrived back from China,” Cde Zhuwao said. Asked to comment on what precipitated the allegations in his statement Cde Gumbo said: “Don’t you see what the newspapers are saying especially what you (The Herald) are saying. “We expect the State media to be supportive of Government programmes but you are spending your time undermining the party and the Government,” he charged.